Ha! I couldn't be happier than when I am baking cupcakes to share with others! But my problem lies with the parts that follow. Luckily, last year my sister solved my problem of transportation with a cupcake carrier. So now I can bake cupcakes and transport them to the party. How do I display them? 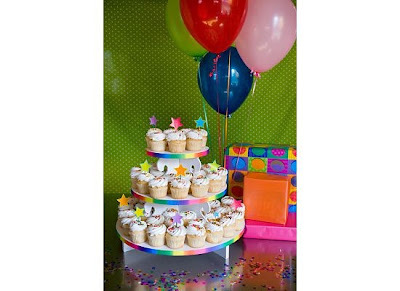 The Cupcake Tower is available in four different sizes: tiny, small, medium, and large. Each size holds approximately 32, 72, 128, and 208 cupcakes, respectively. You can win your very own Cupcake Tower! Includes a ribbon "detail design" package custom-matched to your event. Because no glue or adhesive is used, your ribbon can be easily removed and replaced with other colors and patterns for different occasions. The winner of the Cupcake Tower gets to choose their own ribbon detail package. How do you win this Cupcake Tower? Leave one comment for each entry. Contest ends November 20th at 11:59pm PST. Good luck! Ack!! Must follow your blog. Why aren't I already? Silly me! I follow you on Twitter, of course. And I'm the girl that brings cupcakes too. A friend actually calls me cupcake. I would use this stand a plethora of places...did I spell plethora right? I guess I did, I didn't get the red squiggly lines of doom under plethora. I would use it for birthday parties, class parties (I have 3 kids so there are LOTS of those) family gatherings, random cupcake baking days, I would even use them to display ::gasp:: my world famous banana bread muffins. I know muffins aren't nearly as wonderful as cupcakes but they would fit nicely. Love the blog. I'll be following you now as well, I'm a fan of all carb filled baked goodness. There's a store here near Charleston, SC called Cupcake, they have some of THE BEST cupcakes I've EVER had in my LIFE! Gotta look them up if you're ever in my neck of the woods. I'm following your blog now, officially. I just posted a blog with a link to your post about the tower and mentioning the giveaway. Even if I don't win, those things look like they rock. I would use it for almost any party i attended. I am also expected to bring cupcakes with me. Every time my nieces come to visit me they expect cupcakes. I of course always have a new flavor for them to try. I would love the cupcake tower for my 2 daughters' birthday parties. It would be great for holidays too. I follow your blog. It's always one of the first I check on my google reader! I'm a follower on Twitter too! I wrote a cupcake cookbook and I don't even have something like this! I totally could use it for signings, tastings, and even when I cater weddings... 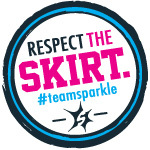 I am a follower and will be letting people know about this contest! You are the best!!! Happy baking! P.S. I follow you on twitter too. I couldn't even explain all of the places I would use this! I would definitely be using it for the holidays to display a mixture of cupcakes and homemade truffles! I follow, and i would use it to display my christmas cupcakes on christmas day. I follow your blog every day but don't see a follow button! ah! I love seeing each post. Thanks for sharing! Hey! I do allll of the above...and would use this tower hmmmm...maybe as a possible rental! I would use this wonderful tower for my daughters birthday cupcakes at the end of the month!! And yes I read your blog daily!! I would use it at home, for birthdays, parties, and to take to my kiddos school parties too! Yay! What a great item to display any of the wonderful baked goods that are for dessert for the holidays. 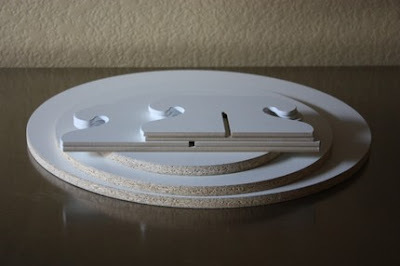 I would get the paper holders and then cute pieces of goodies and put them diplayed as the centerpiece of the buffet or dining table. This way everyone would be able to see what tasty treats are for dessert. Wow - a chance to win one of these beautiful towers? Thanks!! I would definitely use it to display some birthday goodies - or perhaps (sacrilege?) all sorts of Christmas baked goods (even non-cupcakes). ahhh, this is so cool. I would use this for all the events I so kindly make cupcakes for but never quite know how to set them out! I found my way here via a tweet from AngryJulie. I'm getting married next June, and instead of a cake I have a vision of a large cupcake tower filled with fancy petit fours. Your tower is DARLING, and inspirational even if I don't win. if i win this item, perhaps it'll inspire to start baking for others more often! How can I use the cupcake tower? The ways are numberless. I'm always looking for excuses to bring cupcakes to anything because I love making them! I would use it everywhere! I really enjoy making cupcakes and already have a cupcake courier that I put to good use. A tower would be the next logical step. Love your blog. I check it almost everyday! I work in an office with all male coworkers, and I bake a lot for the office (it's the only way I can get something sweet in the office, plus the guys like it), so I'd take it to the office and - actually put cupcakes on it! I would use this to bring to holiday parties! I love baking cupcakes! I would love to bring this cupcake tower to my friends baby shower at the end of the month. I know it would be a big hit! have i said it before? 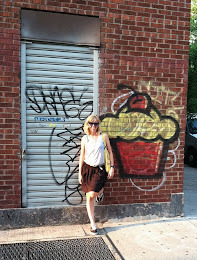 i love your blog :) how timely, i am searching for a cupcake stand right now... my old one broke! 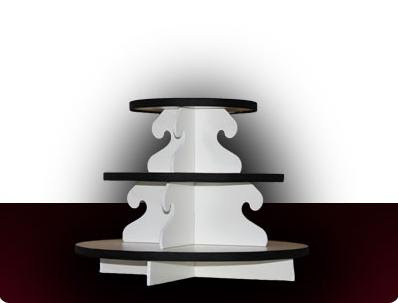 i have a cupcake order for Sutra Lounge's 5th anniversary party (http://www.sutraloungeatl.com) in a few weeks that I need a stand for. Will be advertising this on my blog too! I would use the cupcake tower for anything! It would look really cute with Christmas cookies on it too! I just started a baking business and got hired to do cupcakes each month for a large law firm - I have boxes to transport them, but no idea how to display them....until now! That stand rocks! I would use it for my newly started cupcake business. I NEEEEED this bad!!!! I would use the tower and my Daughters 2nd birthday party. Its zebra and hot pink, and the tower would be so perfect!!!! I've always wanted one of these!! Cool giveaway. I would totally use it when we make cupcakes at home. Elijah and I love to make cupcakes! I already follow you on twitter!!!!! I just blogged about your giveaway!!!! I seriously want that tower!!! How freaking cute is it?!?! I just found out about your blog and am in love!!! I'd use it for thanksgiving to display my pumpkin Cupcakes! Just added a new post about the blog and the contest. I like to take cupcakes to potlucks. This would be a great display. I do have one question, you indicated that you were searching for a way to transport and display - how does this product help with transporting cupcakes? Thanks! SO CUTE! I just move to a new house and have been meaning to through a house warming party and this would be the perfect accessory for that party! Pick me! I watch kids and they all expect a tablescape when they come home from school on their birthdays so would use it for those days and for every party we have. My daughter is obsessed with cupcakes and makes them all of the time, plus she is getting married next September and we are having a sweet table that this would look adorable on. Thanks! I now follow you on twitter as Sandytables. Don't know how I missed you on twitter before. I just found your blog and already have my daughter checking out these pumkin and sweet potato cupcakes. They look delicious. I am following you on my google friend connect blog roll. I also posted your site in my Blogs To Check Out list on my blog. I just blogged about your blog and your giveaway. My blog is allaboutthetables.blogspot.com where you are the feature of the day. Can you tell I really want this cupcake tower from all of my entries? I think this is the last entry I am entitled to. I am so happy I found your blog. Makes me want to bake and I am not a fan of baking. I am a big fan of "eating" baked goods though. I would use it every chance I get! I currently have a little whilten cupcake tower but as everyone knows it never holds enough of the delicious little cupcakes. In my head this new cupcake tower will hold a giant cupcake cake on top layer and then normal little cupcakes all down for my Christmas/ Graduation party coming up in a month. I am already following your blog and I will be following you on Twitter just as soon as I can find you! 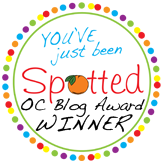 I just blogged about the contest and I am now following you on Twitter! I think that's all the entries I can do, I hope I win! i cant resist signing up for this. its really cute. but i think id just use to for myself since ive been having REALLY bad luck getting my cupcake stands back. i wouldn't want to lose this one! its really cute. i love that its made from wood too. 1. I would use it everywhere that I bring cupcakes. Where wouldn't I use this stand? I am THE treat person among my group. Cupcakes, mini pies, basically anything small and yummy is awesome in my book. And I follow you on twitter as @kellimarks (recommended by @trammisms), and I follow your blog, but I joined anonymously because I think it's creepy to start following someone's blog and twitter in the same day. Of course, admitting to following anonymously is probably worse.